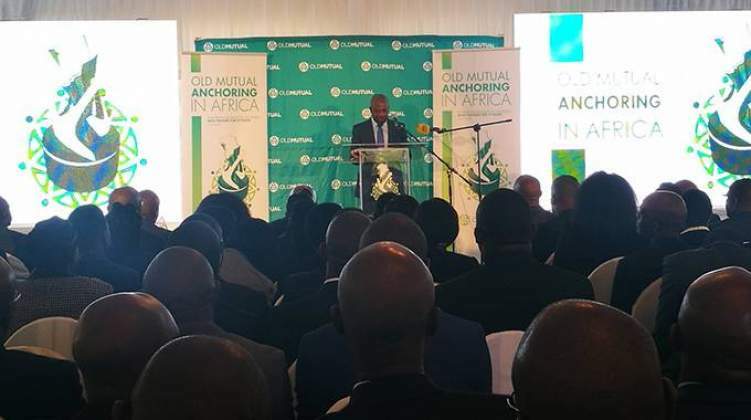 OLD Mutual Zimbabwe Limited group chief executive officer Jonas Mushosho said the parent company will begin to unlock value now that its primary listing was moved to the Johannesburg Stock Exchange (JSE) in South Africa. This comes as a result of Old Mutual Plc's Managed Separation strategy announced back in March 2016, to split the United Kingdom-based group into four independent, standalone companies. Speaking at the 'Old Mutual Anchoring in Africa' dinner that took place in Harare on Tuesday, Mushosho said moving the primary listing of the parent company from the London Stock Exchange (LSE) in the United Kingdom to South Africa would unlock value. "The managed separation and the primary listing of Old Mutual Limited in its home country will not only unlock value, it will also free us to strengthen our focus on Africa. It will bring us even nearer to our long-term vision of being Africa's financial services champion. As a company led by people from Africa, we will be in a stronger position to build the financial wellbeing of the customers we serve�?" he said. "Pursue Africa's enormous growth opportunities and contribute to the socioeconomic development of the countries and communities we operate in. We are very proud of our deep African roots – and we see this remarkable moment in our 173-year history as an opportunity to demonstrate our commitment to the stability and prosperity of this continent. These deep roots are the source of both our strength and our potential." On Tuesday, Old Mutual Limited relisted on the JSE with a standard listing on the LSE and secondary listings on the stock exchanges of Malawi, Namibia and Zimbabwe as part of Old Mutual plc's Managed Separation strategy. In a statement on Tuesday, Old Mutual Limited said the foremost aim of this strategy was to unlock value that was trapped within the group structure and remove costs arising from the London-based office, and in so doing create better long-term value for shareholders. One is the new South African holding company, Old Mutual Limited, which consists of Old Mutual's emerging markets business, Old Mutual's 54% holding in Nedbank and the residual Old Mutual plc, that is, the remaining assets and liabilities of the business post the managed separation," Old Mutual Limited said. "The other one is Quilter plc, which is the former Old Mutual Wealth UK operation that listed on the London Stock Exchange, with a secondary listing on the JSE on the 25th June." Old Mutual Limited added that the remaining two businesses in the group are already independently listed entities, namely, the Nedbank Group which Old Mutual Limited plans to reduce its shareholding to 19,9% by the end of the year. The other one is the former Old Mutual asset management company based in the United States whose majority shareholding was reduced to 5% as part of the managed separation process.